Get your Lockless Luckbox card with your Defense of the Ancients 2 Emblem Black Polo Shirt! With the purchase of this black Defense of the Ancients 2 polo, you get a digital unlock - the much sought-after Lockless Luckbox card. 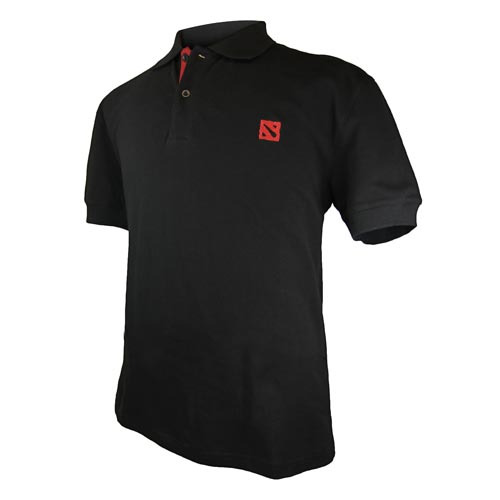 The Dota 2 Emblem Black Polo Shirt features the Dota 2 emblem in red stitching and 2 buttons.